Marco Silva says Richarlison is a doubt for Everton's Premier League game against Chelsea on Sunday. The Brazil international has scored six times in nine Premier League matches since his summer arrival from Watford for around £40m but missed Thursday's training session. Everton have won four of their last five league games to sit ninth in the table ahead of the trip to Stamford Bridge. When asked about Richarlison's fitness, Silva said. "He is in doubt for the match. Let's see how he will react after the individual work he did this morning." 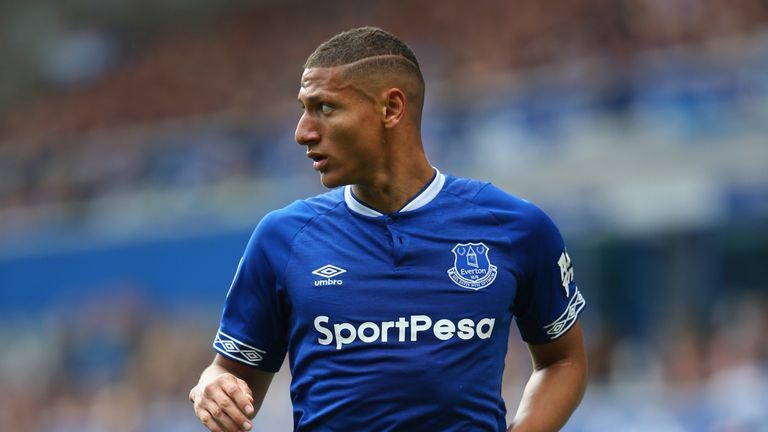 Richarlison has been an integral component of Everton's performances but with the 21-year-old a doubt, Silva is confident he has enough options to bring in as they aim to end Chelsea's unbeaten start to the season. "We know he's important for us as a striker and as a winger," he said. "If he's not fit there's good options for other players in his position. It's football. The players waiting for their chance have all my confidence." The forward, who was Silva's first signing as Everton boss, joined the club with big expectations but has repaid the confidence the Goodison Park hierarchy paid him with some important displays so far this season. "It's important for him and the club. The club paid a lot of money to sign him," Silva added. "I told you from the first moment he signed I had no doubts. Not just because he can score as a striker and a winger but how he can work and how he can have a fantastic connection with our fans because he is a fighter and he never gives up." Chelsea are on a five-match winning run in all competitions and were beaten 2-0 in the corresponding fixture last season but Silva says the least he demands of his team is to compete with Maurizio Sarri's side. "We have confidence in our work and the way we are playing," he said. "Seeing how our team is growing and getting better and getting results in the last two-and-a-half months. I accept they will be favourites but it is a big challenge for us. "What I hope and expect is that we will be ourselves on the pitch. I want to see our team be ourselves. They will obligate us to do different things to what we want but when we have the ball we have to be ourselves."